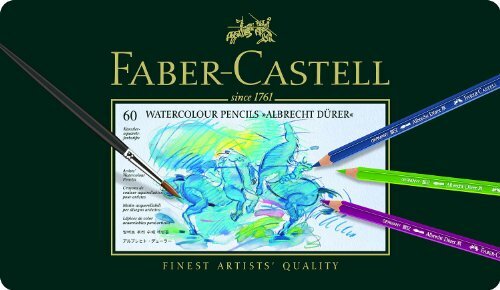 This set of 60 Albrecht Durer Watercolor pencils have buttery smooth laydown, are easily blended, and have no waxy build up. Thick 3.8mm break resistant and fully water soluble leads can be blended quickly when wet and become permanent when dry for rich watercolor effect. The colors are consistent when wet or dry. Comes in a sturdy reusable tin case.